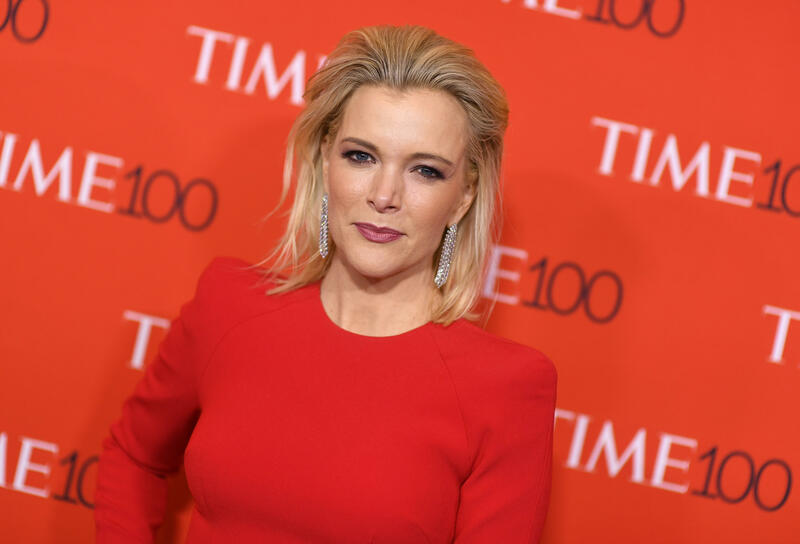 "Megyn Kelly Today" is ending unceremoniously after its namesake host defended blackface Halloween costumes on Tuesday. NBC confirmed in a statement Friday that the morning show has been canceled, saying,"'Megyn Kelly Today' is not returning. Next week, the 9 a.m. hour will be hosted by other 'TODAY' co-anchors." The news comes after an NBC spokeswoman said that "given the circumstances," the network was airing repeats of the show on Thursday and Friday. Kelly left Fox News to join NBC in early 2017, but her one-hour morning show never took off as hoped. NBC News' Morgan Radford reported earlier this week that sources familiar with the situation say "conversations have already started about Megyn's exit," and it's not clear yet what will happen to her $69 million contract with NBC. The network was openly critical of Kelly after Tuesday's show. In the segment, she asked, "What is racist? You do get in trouble if you are a white person who puts on blackface for Halloween, or a black person who puts on whiteface for Halloween. Back when I was a kid, that was OK just as long as you were dressing as a character." She also talked about the backlash against "Real Housewives of New York" star Luann de Lesseps for wearing a Diana Ross costume last year, and said, "She wants to look like Diana Ross for one day, and I don't know how that got racist on Halloween." After considerable blowback over the blackface comments on social media, Kelly apologized to her colleagues later that day in an internal email, then publicly on air the next morning. On Wednesday, Kelly apologized to viewers and said, "I want to begin with two words: I'm sorry." She admitted that she defended blackface costumes on Tuesday and continued, "I learned that given the history of blackface being used in awful ways in this country, it is not OK for that to be part of any costume, Halloween or otherwise. I have never been a PC kind of person but I do understand the value in being sensitive to our history, particularly on race and ethnicity. This past year has been so painful for many people of color. The country feels so divided and I have no wish to add to that pain and offense. I believe this is a time for more understanding, more love, more sensitivity and honor. Thank you for listening and for helping me listen too." After her apology, Roland Martin and Amy Holmes joined her to explain why Kelly's comments were so hurtful to African-Americans. The two explained that in the U.S., there is a long history of blackface used to mock and belittle black people. Martin, who on Tuesday said that having a black person on Kelly's panel would have helped her understand why blackface is wrong, said, "There are lines, and there's history, and there's pain. And when we acknowledge that, then we can learn and grow from it." NBC did not spare the host from negative coverage on "Nightly News," "Late Night" and "Today." NBC News also reported that chairman Andy Lack condemned her comments, saying, "There is no place on our air or in this workplace for them. Very unfortunate." Wednesday's "Today" show aired a segment about Kelly's comments, which included critical tweets and a clip of Kelly's 2013 on-air comments on Fox News insisting that Santa Claus was white. Co-host Al Roker said Kelly's email apology was inadequate. Roker and Tamron Hall, who are both black, hosted a show together that was axed to make way for Kelly's show. "The fact is, while she apologized to the staff, she owes a bigger apology to folks of color around the country. This is a history going back to the 1830s minstrel shows, to demean and denigrate a race wasn't right," Roker said, shortly before Kelly issued her public apology. He continued, "[Blackface is] magnifying the worst stereotypes about black people. And that's what the big problem is." Co-host Craig Melvin said, "She's a friend. She said something stupid. She said something indefensible." A source told the AP that Kelly met with NBC executives within the past month to talk about dissatisfaction with the show's direction. Kelly clashed with NBC's management when she publicly called for Lack to appoint outside investigators to look into why the network didn't air Ronan Farrow's stories about Harvey Weinstein, which he instead took to the New Yorker.